Dried peppermint is great for digestive aid. It soothes and calms the digestive system when used internally or externally.Peppermint helps get rid of gas, indigestion and heartburn. It’s also good for relaxing nerves and improving circulation. 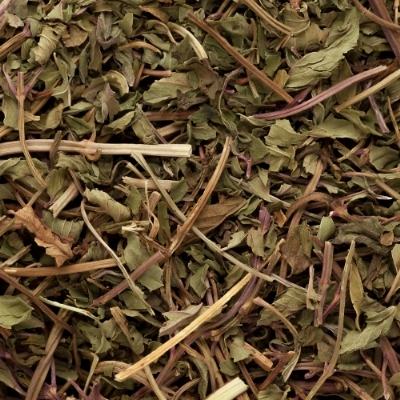 Peppermint Leaf makes a delicious, calming (and caffeine free) tea that is invigorating in the morning and which improves digestion if consumed after meals. Peppermint leaves are a great headache remedy. A mild peppermint tea consumed internally or added to a bath can help bring down a fever gently without medicine. It\\\'s also very relaxing when combined with some bath salt scented with peppermint essential oil and placed in a muslin bag. Place the bag into a warm tub and enjoy your at home spa.